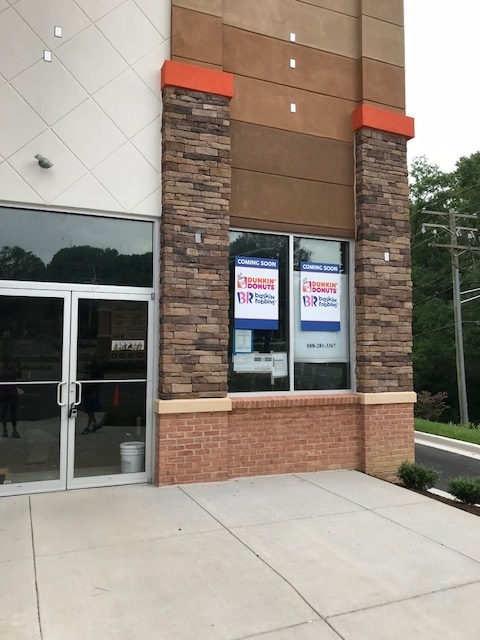 A new Dunkin Donut Baskin Robbins store is coming to the Hill Top Plaza Shopping Center located off Race Track Road in Bowie MD. 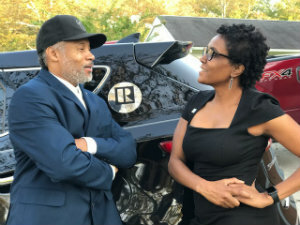 Some residents in Bowie of Belair and the nearby neighborhoods may have noticed construction next to Blue Sunday Restaurant. Some people thought Blue Sunday was expanding, but after the brick and mortar were laid and the window and doors were installed one could clearly see a new store emerging. The construction of the store ran into some delays due to the thunderstorm that hit our area a few weeks ago. Some of the sheet metal framings blew off the side of the building and it took a few days to reinstall it. Although they have not listed the grand opening, I’m looking forward to Dunkin Donuts Baskin Robbins opening in our neighborhood. Dunkin Donuts sells hot and cold coffee, sandwiches and an assortment of irresistible delicious doughnuts. In the morning while driving to work, I stop by the Dunkin Doughnut store further down route 450 and grab a cup of hot toasted almond coffee and sometimes I’ll grab a croissant egg and cheese sandwich. When the store opens, I’ll be one of the first there and I hope to see you there too!